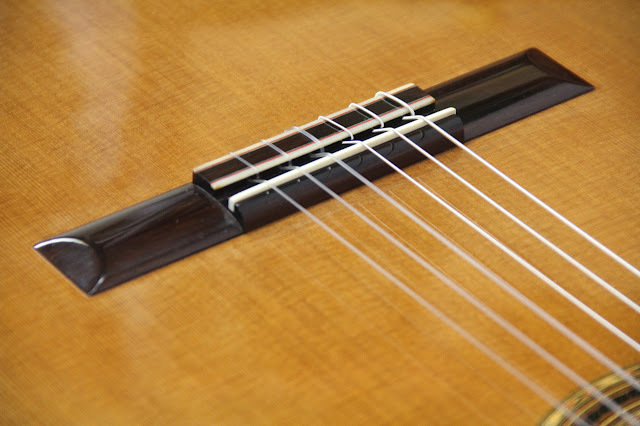 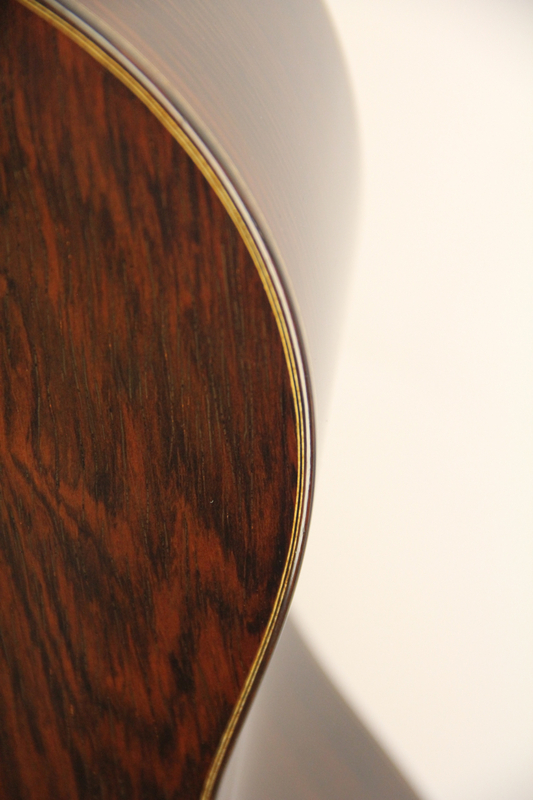 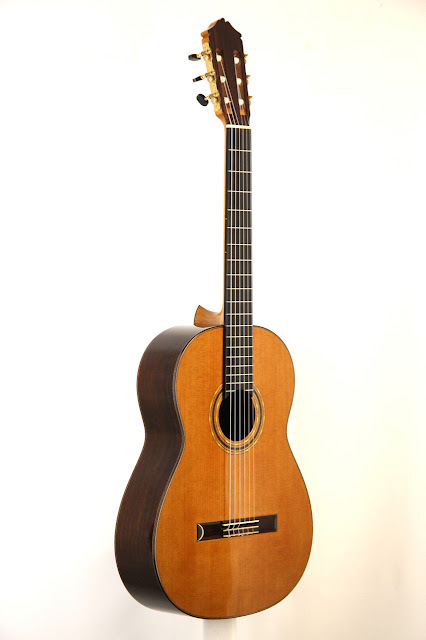 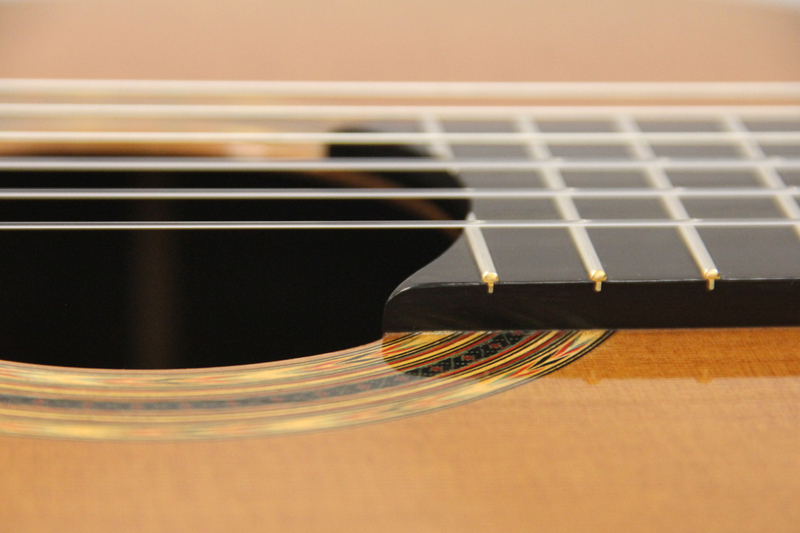 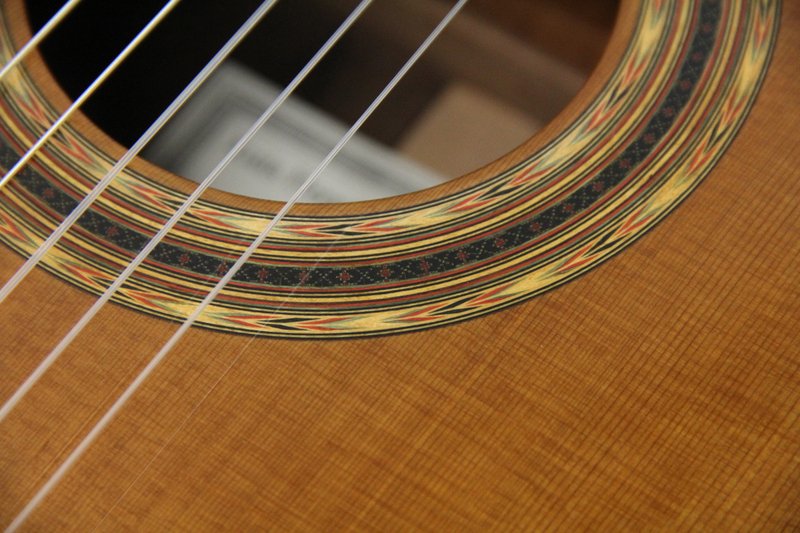 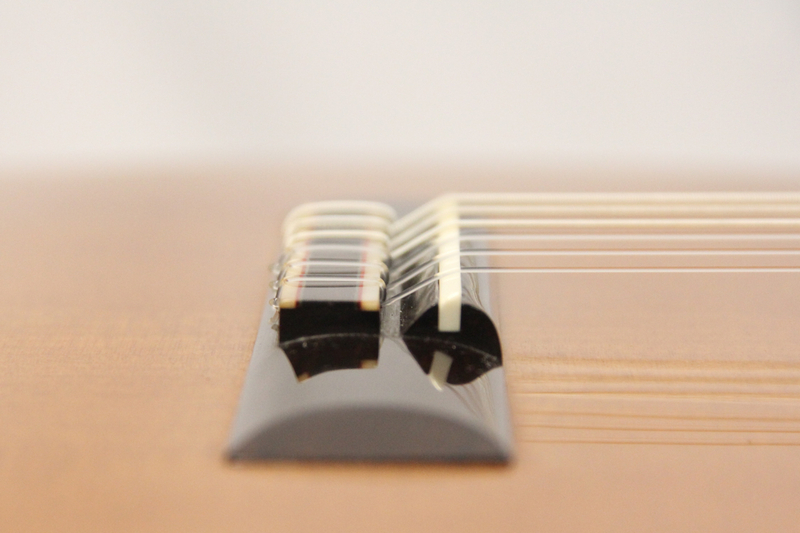 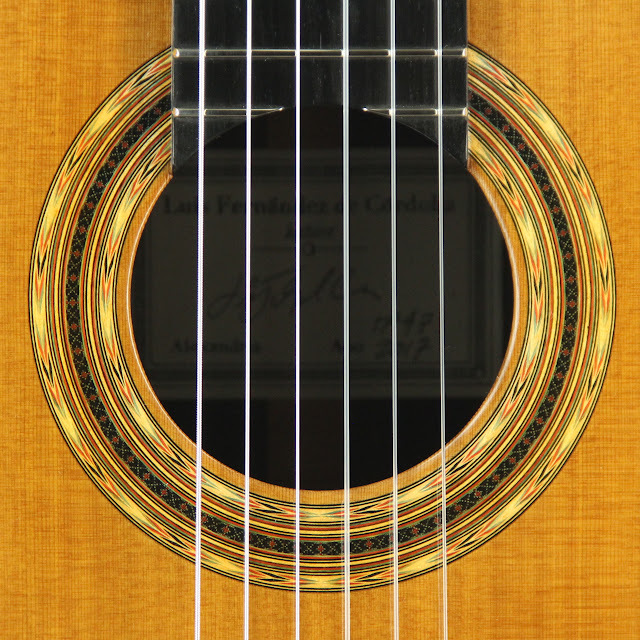 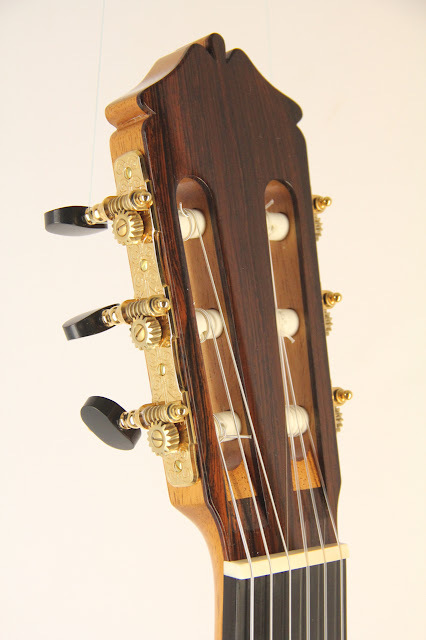 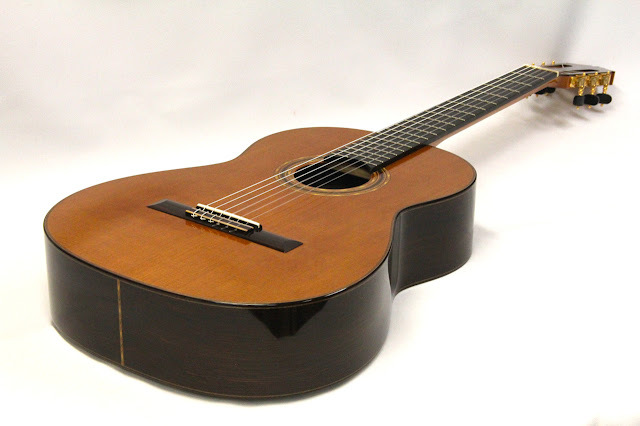 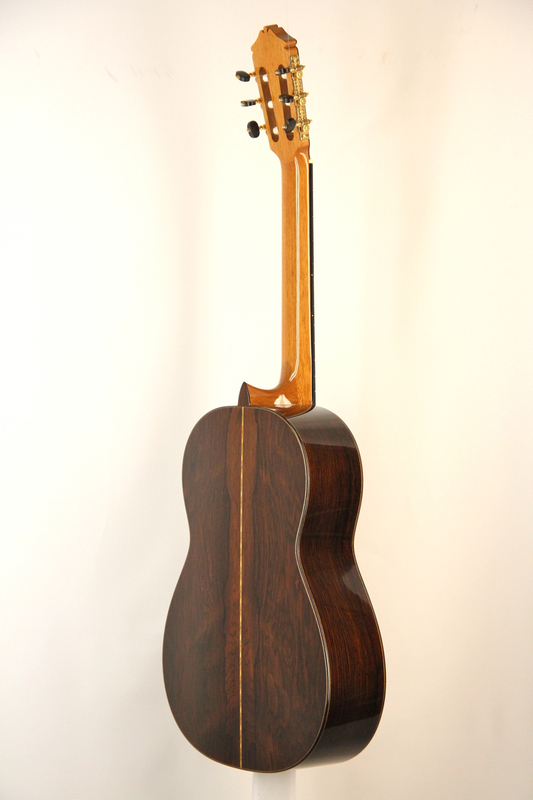 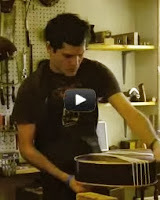 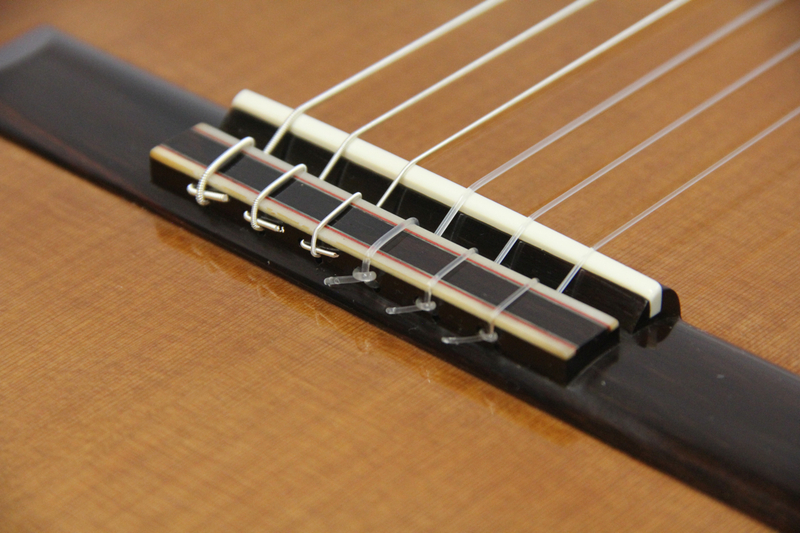 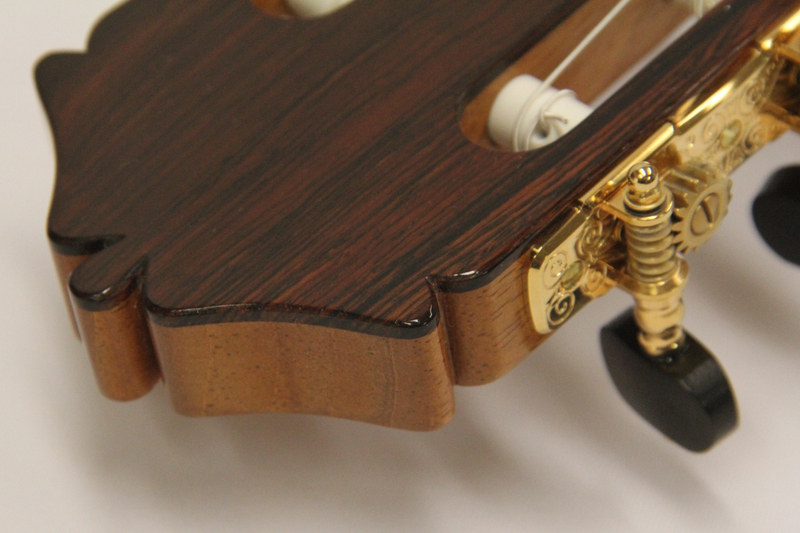 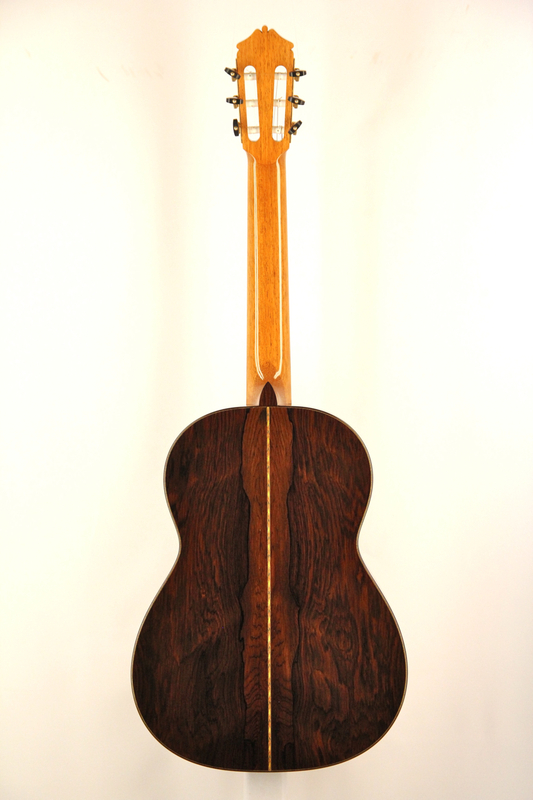 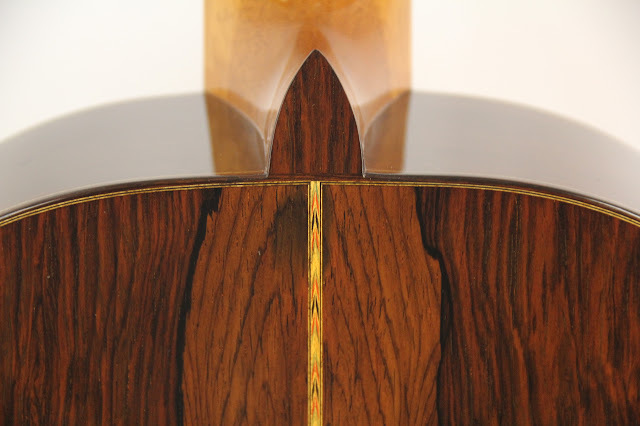 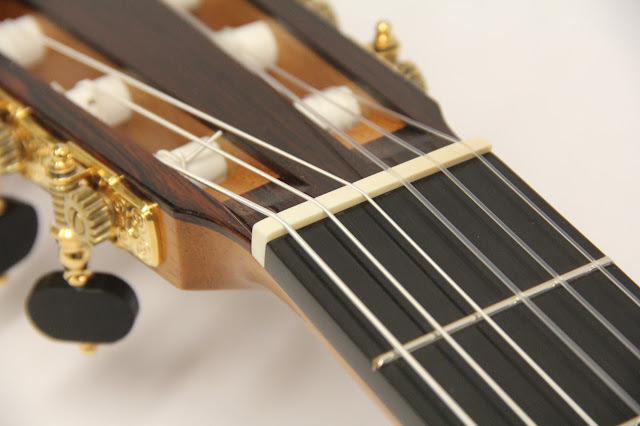 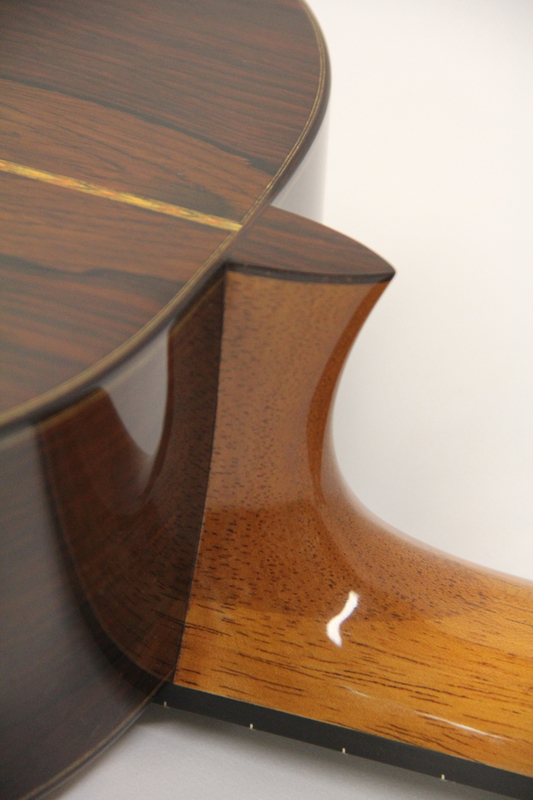 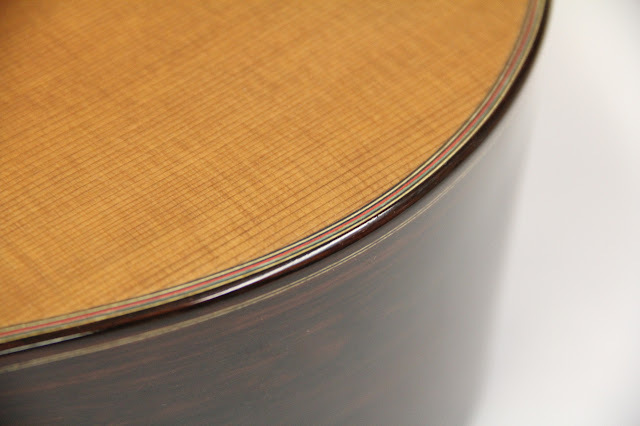 Handcrafted classical and flamenco guitars. 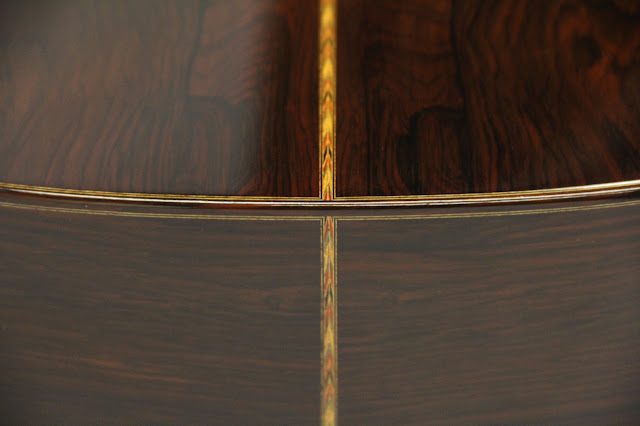 Professional repair and restoration. 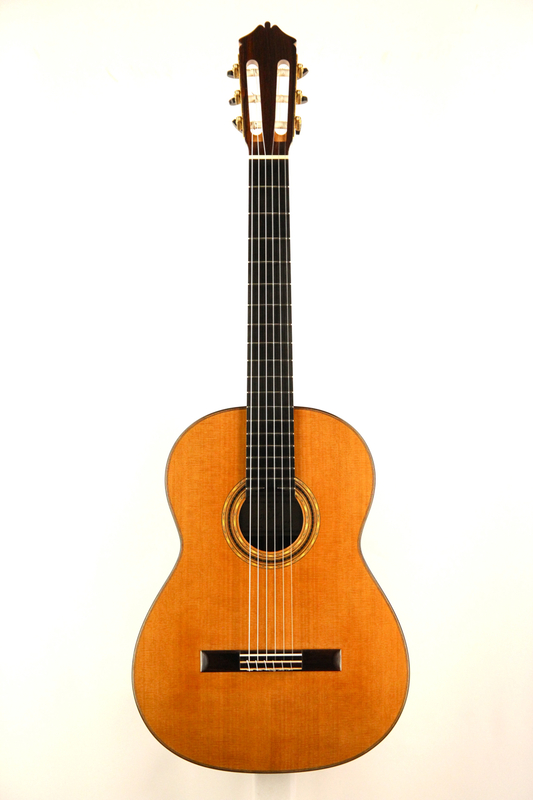 Classical guitar made with redcedar top, Brazilian rosewood back and sides, Spanish cedar neck, Brazilian rosewood binding and bridge. Amber shellac finish. Signature rosette. 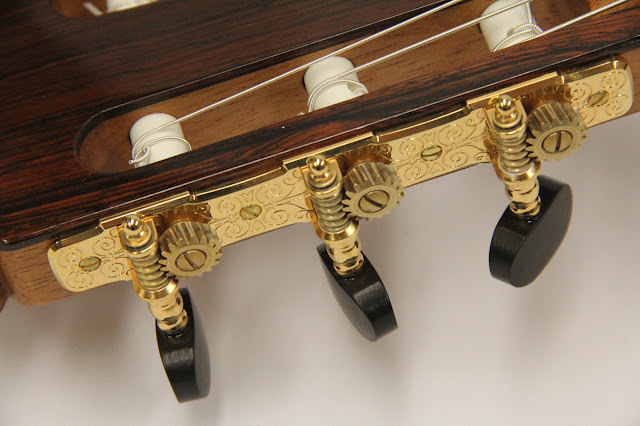 Gotoh Premium tuning machines. To view any picture on the site full size in a separate tab, click on the picture while holding down the command button on a Mac or the control button on a PC.